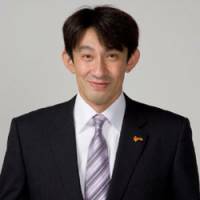 Though the Oita HeatDevils have started the season with a disappointing 2-10 record, first-year head coach Tadaharu Ogawa is patiently working to turn things around. Teamwork is the key, he said, especially on offense where the HeatDevils lacked a unified character in the team’s early games. The HeatDevils are averaging a 68.7 points per game, worst in the bj-league, entering this weekend’s games against the host Toyama Grouses. Power forward/center Jeffrey Price leads the team in scoring (16.3 ppg). He has topped the 20-point mark five times and is the team’s most dominant rebounder (136 boards). Ogawa is pleased with the impact Price has made for a team in transition, a team that is looking for new impact players to replace a slew of departed players, including scoring standout Andy Ellis (he now plays for the Hamamatsu Higashimikawa Phoenix after leading the league with 25.1 ppg in 2007-08), Justin Allen (now playing in Kuwait), Kohei Mitomo (Rizing Fukuoka) and Chris Ayer (Ryukyu Golden Kings). “I would pick Jeffrey Price (as) the main leader right now, offensively and defensively,” Ogawa said. Price was a strong presence in the middle for John Neumann’s Fukuoka squad last season, helping the expansion franchise advance to postseason play. The HeatDevils finished last season with a 19-25 record and fired head coach Dai Oketani after failing to qualify for the playoffs. Ogawa, a backup forward and assistant coach last season for Oita, earned the promotion during the summer. After playing limited minutes in each of the previous two seasons, Ogawa is eager to make his mark as a head coach. But he quickly pointed out he is grateful to have the opportunity. “I was getting older and then I wanted to be a coach after I retired as a player,” he said, reflecting on his mind-set before starting his current job. 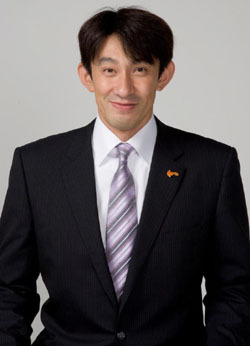 A native of Yamaguchi Prefecture, Ogawa played for many years in the JBL and credits his former Isuzu Gigacats coach, Mototaka Kohama, for being his top basketball role model. “I learned a lot from him, and now my teaching is based on Mr. Kohama’s teaching,” Ogawa said humbly. Kohama’s coaching philosophy prepared Ogawa and his former teammates for life after basketball, according to Ogawa. And now the outgoing Ogawa stressed that he will use those life lessons during his time as the Oita floor boss. Above all, Ogawa believes team unity is the key for success. Furthermore, the HeatDevils, who are allowing 82.4 ppg, are working to become a better rebounding team and a stronger defensive club. To accomplish these goals, Ogawa wants his team to keep it simple: play aggressively. And despite the team’s lack of frontcourt size, the coach insists his team can remain competitive in the battle on the boards by boxing out, chasing loose balls and tipping the ball to teammates if a rebound cannot be secured. “In the last few games, our team defense is getting better,” Ogawa said. Overall, however, there is plenty of work for the HeatDevils in the weeks to come. Point guard Tsubasa Yonamine’s assists have decreased this season, which is due in part to the influx of several newcomers, including guard Kimitake Sato, the team’s highest-scoring Japanese player (9.2 ppg) and forwards David Reichel (12.8) and James Wilkinson (11.3). Ogawa isn’t happy about the team’s record to date, but doesn’t want to dwell on the season’s first 12 games. Instead, the focus is on the future. “We have to concentrate on the game right before us,” he said. Fukushima fired The Toyama Grouses have struggled since they joined the bj-league as an expansion team for the 2006-07 season. On Friday, they fired head coach Masato Fukushima, who has been the team’s floor boss since Day One. Grouses assistant coach Hirokazu Nema has been named the interim coach. Fukushima had a 23-71 overall record in his two-plus seasons at the helm. In their first season, the Grouses went 13-27. Toyama went 7-37 last season, finishing with the worst record among the league’s 10 teams. This season, the club is 3-7, the worst record in the Eastern Conference. Only the HeatDevils have fewer wins in the league, which now has 12 teams. The cash-strapped Grouses traded former No. 1 pick Takanori Goya to the Osaka Evessa in the offseason. The team’s high turnover of players has been a constant in its short existence.